Along with our unique “hardware plug-ins” for PC and Mac®, we’ve also included MX-Edit™ Librarian software so you can store and recall custom programs or pull up your choice of 223 genuine Lexicon settings including 25 dedicated Surround Programs. At its heart, the MX400 is everything you would expect from the company that invented digital reverberation. Seventeen Lexicon reverbs, delays and modulation effects plus dbx® compression and de-essing. A generous LCD display and big comfy knobs you can get your hands around. STAGE 4-IN/4-OUT VERSATILITY, HANDS-ON ONTROL & ROAD-RUGGED CONSTRUCTION. We know you need to be able to make changes quickly, so we designed the MX400’s intuitive front panel to be a bare minimum of knob tweaks away from any adjustment or effects change. For example, three individual, assignable parameter controls mean you don’t have to page through menus to fine tune a reverb tail. 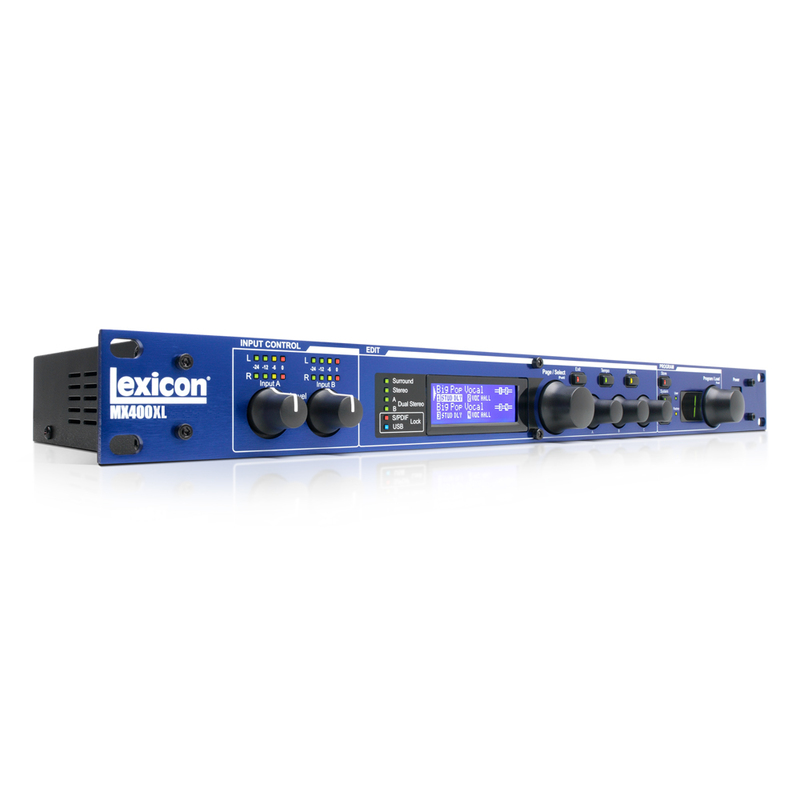 Because you can use its built-in dbx® com­pression and de-essing in tandem with reverb, the MX400 is the perfect tool for taming problem vocalists. 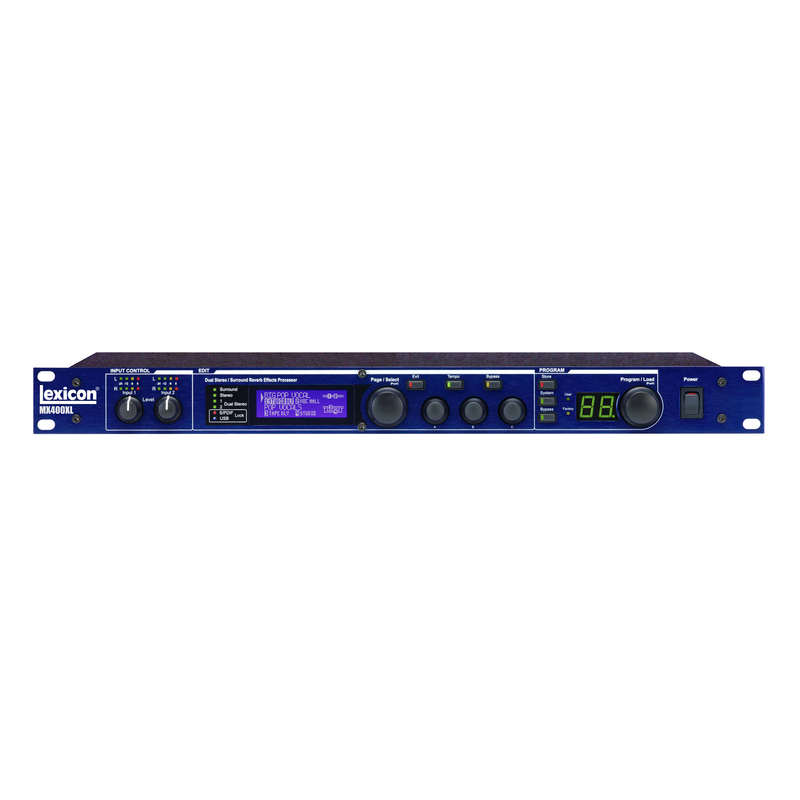 Finally, you can rely on the MX400 for years to come, through countless load-ins and load-outs — although its sound is A-studio-quality, we designed the MX400 to withstand dust, moisture, shock, power surges and all the other rigors of live sound use. You ever heard reverb on an album track, chances are you were hearing Lexicon. We invented digital processing. And we’ve been perfecting it for thirty years. 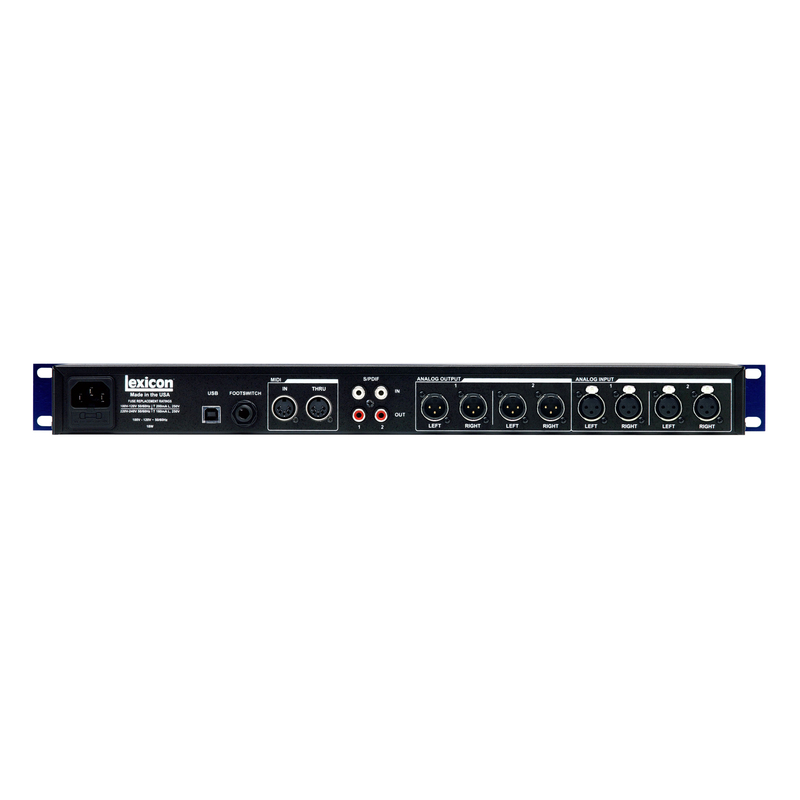 The MX400 lets you switch effect routings automatically via front panel controls, so you don’t have to spend time behind your rack changing cables to instantly re-purpose its four powerful processors. From basic quad mono, to stereo to more complex dual stereo configurations, you can have ‘em all at the twist of a knob. 50k Ohms bal., 25k Ohms unbal. 2k Ohms bal., 1k Ohms unbal.